HDMI audio is flat out not working for me. This is Arch Linux, RX480, Gnome desktop. I've added the kernel parameter, the HDMI option is listed as an audio source but it doesn't work. If I switch to 'line out' from my mobo that works, but when I switch it to HDMI...nothing. Though I'm not complaining too much because I haven't put much effort into debugging it yet, and being on Arch you have to expect to do that, it just goes with the territory. But that's my experience so far. I'll look into it when I have a bit of time. Tumbleweed, RX560 here, using both DP and HDMI and amdgpu.dc=1: multi-channel (5.1) PCM (44.1kHz-192kHz) is working fine. Can't get anything at 7.1, might be because my recv'r is HDMI1.3, not sure (very old Onkyo). For DTS-MA, etc. encoded audio, which is mostly movies, the media player (jRiver Media Center) decodes to multi-channel PCM ([email protected]). I switched to DC early purely because of HDMI audio. I couldn't get it to work at first and eventually found that while it works for HDMI, it doesn't work for DisplayPort. I don't know if that's still the case. I only need audio on one output and I was using an adapter anyway so I switched them around. I'm not too fussed about the additional codecs because I also want multi-channel PCM for gaming and specific music albums and PulseAudio frustratingly doesn't support automatically switching to pass-through mode. It has been talked about and I don't think it's even that hard to implement (if you know the code), it just hasn't been done. Software decoding existing for some (or all?) of these formats. The only film I've encountered that didn't include one of the older codecs was Ghost in the Shell. I think it was DTS-MA and VLC stuttered all over the place due to some bug that's probably fixed now. Fortunately mplayer had no trouble. I switched to 4.15 early to get stereo DisplayPort audio which works (mostly) on my RX480. There's some kind of startup issue per stream? sound instance? Not really familiar with the guts of the audio stuff... anyway I loose about the first second of audio on any event (so, notifications are truncated) and the first second of audio on playback for browser audio or VLC for example will be truncated also. I can live with that until I get annoyed enough to track it down... I did once before mess with PulseAudio buffer length settings perhaps? Do not waste poor APUs or any high performance computers cpu cycles to hdmi audio. Hdmi audio code is large and complex, see the source code. PC motherboards have had hifi quality analog audio outputs for a decade. Only the background music is mixed to back speakers in most of the movies, so multi channel audio is useless. Invest to a pair of good speakers. - DTS-HD Master Audio always contains a DTS core. This can be bitstreamed to the AVR. This is far from optimal, as you will be losing channel information (DTS-HD has up to 7.1 channels, DTS only 5.1) and you are also downgrading a lossless format to a lossy format. - DTS-HD MA *could* also be decoded directly on Linux. The channels could then be sent through multichannel PCM. The last time I have tried on my Polaris GPU I could not get LPCM 7.1 working, this means still only 5.1 channels were working. Even if 7.1 channels were possible through PCM it is still preferrable to decode as late as possible in the AV chain. Software-decoding also leads to licensing issues in some contries. - Dolby True-HD also hase to be software-decoded for AMD GPUs right now. The uncompressed PCM can then be sent to the AVR (same restrictions as for DTS-HD MA decoding apply). - Dolby Atmos is a big no-go for Polaris+ users on Linux. It carries a Dolby True-HD core which could potentially be software-decoded on Linux, but only up to 7.1 *fixed* channels. The whole point of Atmos is the object-based sound, which only the AVR can properly decode. There is no chance that you can properly address the Atmos height speakers without bitstreaming. - DTS:X is also a big no-go for Polaris+ users on Linux. It's also based on sound-objects, which means that the position of each sound effect in the room is encoded directly in the sound track. The AVR has to calculate dynamically which channels to use for a particular effect, as only the AVR knows the speaker positions (from the speaker calibration in modern AVRs) . So to conclude the situation with HBR sound for Linux users remains very problematic on AMD hardware, even with bleeding-edge kernels. While *some* HBR audio formats could be software-decoded, this solution is far from optimal due to potential quality issues (PCM jitter) and licensing issues in some countries. The current state of HDMI audio on Polaris and newer is a good start - PCM and legacy DTS/Dolby Digital are probably fine for less ambitious users, but for series HTPC setups the current situation with HBR audio still makes people buy Intel hardware (which has support for HBR audio on Linux ever since the Ivy Bridge era). Only the background music is mixed to back speakers in most of the movies, so multi channel audio is useless. Invest to a pair of good speakers. This is not just about "back speakers" for "background music". Modern 7.x.4 sound setups have much more surround speakers, including 2 side surround, 2 back surround and 4 top Atmos seakers. And it's also not just about "background music". A good movie also has good sound effects which support the action on screen. If you don't care about that, then that is your personal thing. Don't judge others by your own standards. TA good movie also has good sound effects which support the action on screen. Those movies are very few, because multi channel recording and mixing is time consuming and expensive. Only star wars and couple of others have multi channel sound effects. When your DVD library consist mostly of comedy and story movies, you do nothing with multi channel audio. If you want action, play computer games or go out. 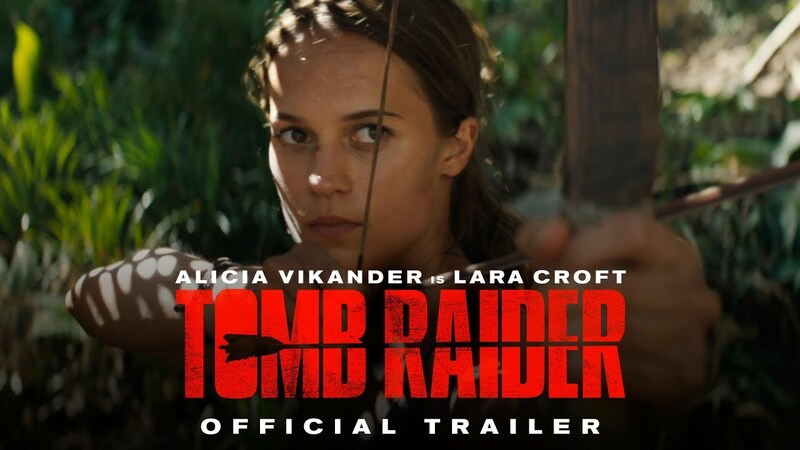 I definitely do not want to see the new Tomb Raider movie, I have played Tomb Raider 2013 and older ones many times. Last edited by debianxfce; 02-21-2018, 03:24 AM. And when the car AC doesn't work, just roll the windows down, right? Jokes, aside, I'd invest in good speakers too, but that's not the point. Normal things like HDMI audio should work in 2018. Hmm...I guess I am lucky... I got no problems with sounds over HDMI on my Fury and Nano cards running Arch with 4.15.